Android Send SMS Programmatically with Permissions Manager and Android SMS Manager. 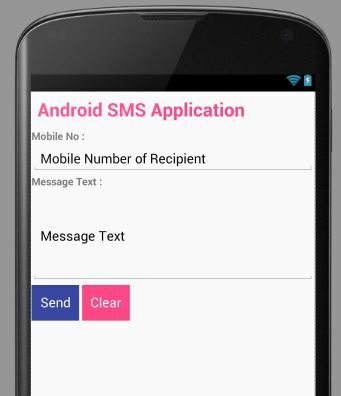 In this post let’s explore Android SMS Manager class and make an Android App to send out SMS. We will also Grant the SMS Permissions within Android Application so that it can be directly used according to updated Android Permissions rules. If you want to learn How to make Dialer Application in Android for making phone calls programmatically. 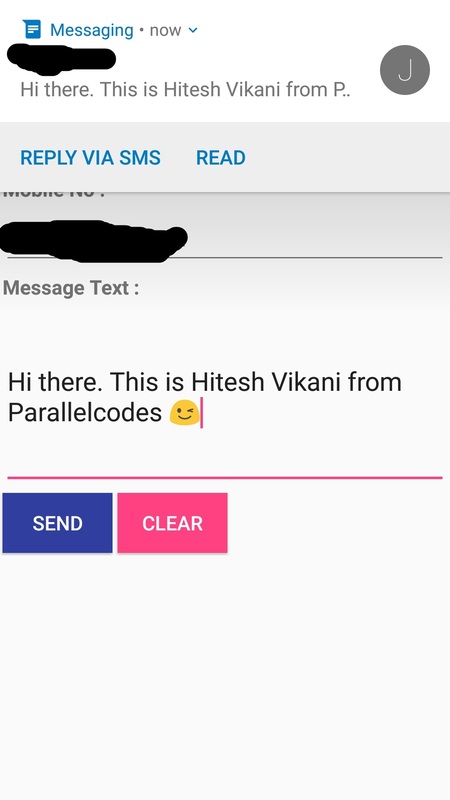 The layout file will contain two Android EditText text boxes, one to enter Mobile number of the SMS Recipient and other to enter the SMS text Message. And also two buttons, one to Send our SMS Message and other two clear the EditText text boxes. Now in your Android Manifest file give SMS Permission reference : android.permission.SEND_SMS above the application tag. Now let’s create the Code to send our SMS Messages and Allow Permissions to our Application. On pressing the Send Button Application will send the SMS Message to the specified SMS recipient. For Accessing Android Permissions, you will require “android.permission.SEND_SMS” permissions. This will be declared in the onCreate method of your File. This will send SMS to the entered number in the text box. How to make Dialer Application in Android for making phone calls programmatically.